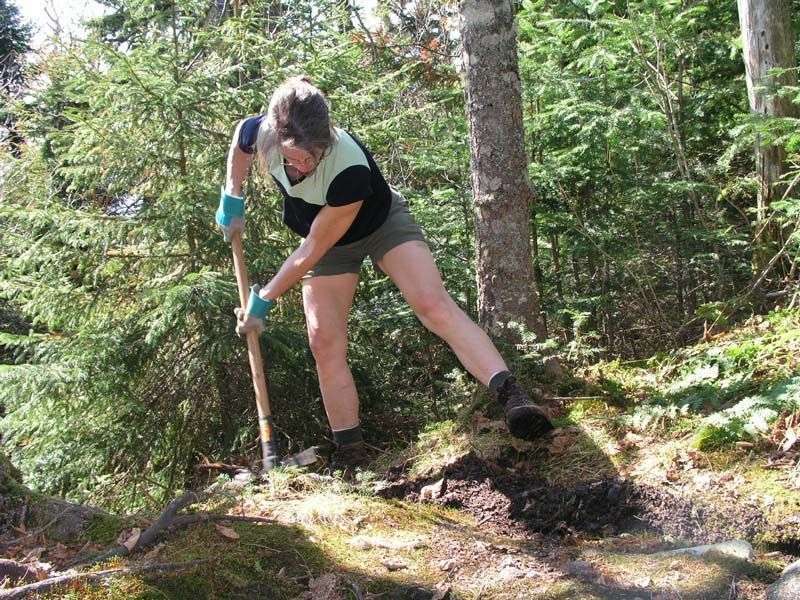 This easy 5-6 hour day is the Maine Chapter's annual spring maintenance of the trails on Mount Cutler. We will work with the previous landowner, Dan Hestor, to relocate part of the trail. 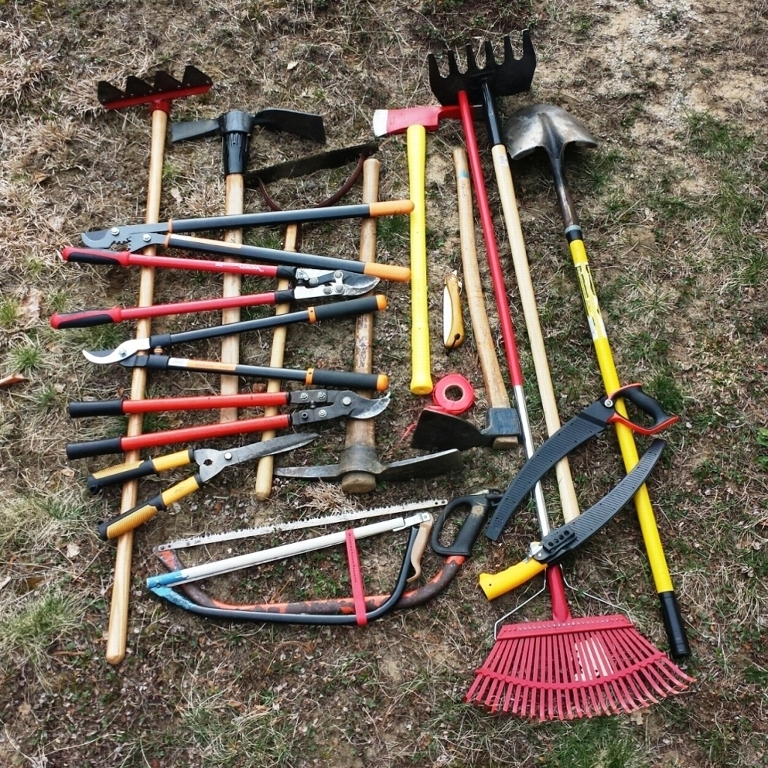 Primary activities are removing blowdowns and cutting back vegetation with hand tools. We will train those who don't know what to do or how to do it. Tools will be provided or BYOT. We will take time enjoy the views from the ridgetop. 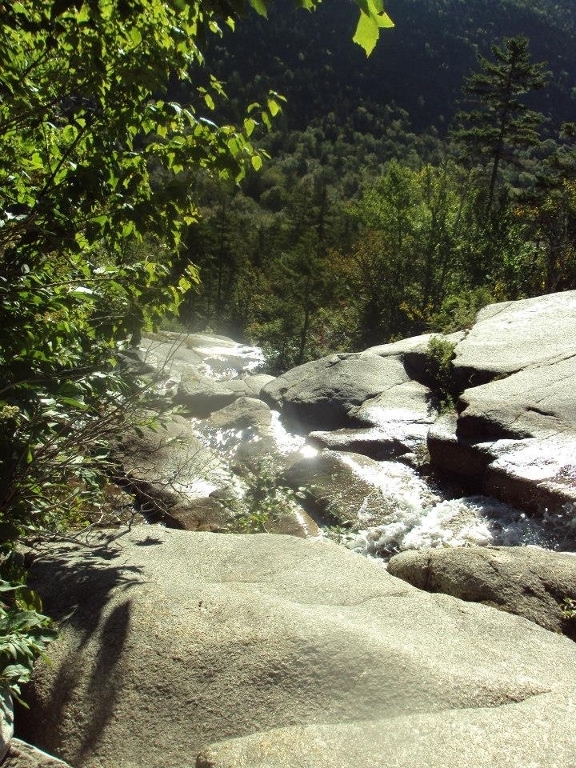 A moderate 8.4 mile loop via the Blueberry Ridge and Bickford Brook Trails in Evans Notch. Great views from the open ledges at the top! Elevation gain of 2300 ft, pace ~1.5-2mph. Evening walk along the shore where Winslow Homer lived and painted to see the full moon rise over the Atlantic Ocean. Trail maintenance on AT near Stratton. Annual 1st trip to clear trail for prime hiking season. Blowdown removal and waterbar cleaning. Too early for black flies (we hope). 3.5 miles and return. Join us for a mid-Spring hike to East Royce and West Royce Mountains in Evans Notch. 6.2 miles rt out and back with 1,790 ft elevation gain. This is your chance to reach summits in two states on the same day. West Royce is on the NH 52 with a view list and East Royce in ME also has wonderful views. This is a moderate hike. Average pace will be 1.5 mph. It's Taco Tuesday at the Deck House in Windham! Join us for Happy Hour starting at 6pm. If the weather is nice, we'll try and grab a table on the deck. Come and relax, make new friends, and find out how you can get more involved in the AMC. Reservations aren't required but they are appreciated so I know how many seats to ask for (email or text). Look for the signage. Volunteer for trail work at Little Lyford Pond Lodge and Cabins. Help open trails for the summer hiking season. 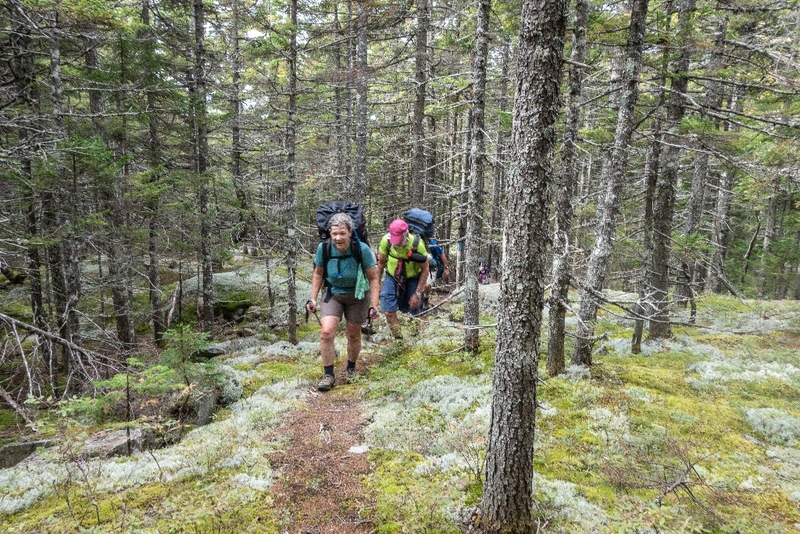 Join other volunteers from Maine Chapter and beyond as we patrol hiking trails in the area in preparation for another busy summer in the Maine Woods Initiative. We berth in the bunkhouse and enjoy off time exploring the area including Gulf Hagas, a beautiful and wild river gorge and Indian Mountain including Laurie's Ledge which provides views north to Katahdin on clear days. .
With many miles of trails in the Maine Woods Initiative , the AMC in Maine has lots of volunteer work opportunities. For this trip we will be staying in bunkhouse at the newly rebuilt Medawisla Lodge and Cabins. Come experience the new facilities and help get the nearby trails ready for the summer and fall hiking seasons. Hike 3.8 mi. 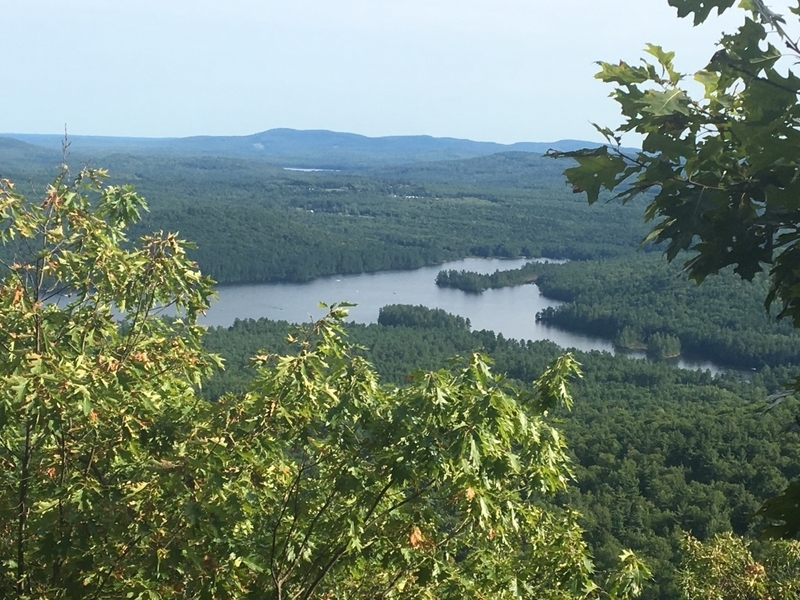 round-trip to Mount Percival, with 1419' elevation gain, followed by a 2-mile round-trip visit to West Rattlesnake Mt with 450' cumulative change in elevation. Moderate pace with Excellent views. Option to experience the caves on the way to the summit of Mt Percival. 5.4 mile hike to open summit with great views. This outing will be a joint venture with the Georges River Land Trust. Come learn about the Georges Highland Path and the great work this land trust is doing. Join us for a spring hike in the Camden Hills area at Ragged Mountain. The trees are budding and the views to the ocean and over the lakes are great. 1000' elevation gain. Some rugged sections. We may spot cars and go from Mirror Lake to Hope Street. Lunch with a view on the trail. Footwear with good traction a must as a good portion of the trail is on rock. Plan on 4-6 hours out based on final trails taken. Rain date - Sunday TO REGISTER: Please email Michelle and include info on your current level of hiking activity including elevation gain done and a phone contact. National Trails Day work trip in Kennebec Highlands. We will work on one or more trails in preparation for prime hiking season. Caribou Mountain (2840') is the second highest peak in the Caribou-Speckled Mountain Wilderness, in the portion of the White Mountain National Forest in the state of Maine. It has a bare summit with open ledges and excellent views. We'll hike at a moderate pace and soak in the views from the summit. This loop hike is around 7 miles round-trip and includes 1890' elevation gain. 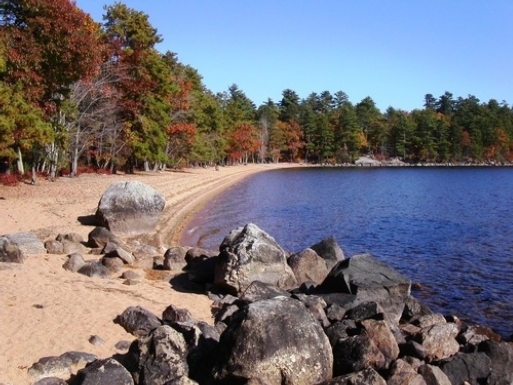 Join us for an afternoon of fun at Sebago Lake State Park! We will be at Site D in the Pine Grove Picnic Area directly facing the sandbar. Explore the 4 miles of hiking/walking trails, bring your bike for a ride, or paddle on the lake or up the Crooked River. You can even take a refreshing swim or relax at the sandy beach or join in some lawn games. After the afternoon choose-your-own-adventure activities, we'll start the grill about 4pm for the potluck BBQ. Please bring an app, side, or dessert to share, and help us reduce waste by bringing your own reusable plate/utensil/cup. We will provide grilled food. RSVP not required but appreciated so we know how much food to get. **This activity is for outdoor enthusiasts of ALL ages including new members, those looking for ways to get more involved, and families! Visits 3 waterfalls and camp at Ethan Pond on this 2 day, 1 night backpack in the White Mountains. Day 1: 3.8 miles and most of the elevation gain. Visit Ripley Falls and camp at Ethan Pond shelter. Day 2: 7.9 mostly easier miles. Visit Thoreau and Zealand Falls and have lunch at Zealand hut. 11.7 mi and 1,500' elevation gain. We will need to spot cars for this traverse. Group Dinner Option. 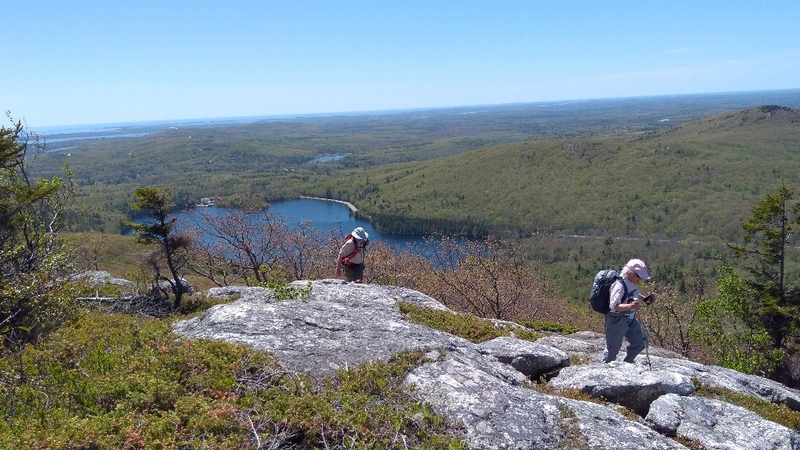 This is a follow-up trip to the Maine Chapter backpacking workshop held in May and is for hikers new to backpacking or those looking for a backpacking refresher. Experience the beauty of the Alpine Garden. We will carpool up the Mt Washington Auto Road to the Cow Pasture parking area. We will then hike down the Huntington Ravine Trail to the Alpine Garden Trail. While taking the Alpine Garden Trail to the Lion Head Trail, we will spend time looking at and identifying the flowers and plants of the Alpine Garden. The moderate round trip hike is a 2.4 mile slow pace hike. Join us for a long weekend of camping, a hike on Cadillac Mountain in Acadia National Park and maybe some biking. We will be staying at Blackwoods Campground in Acadia National Park starting June 13 for 4 nights in our trailer. Please make your own camping reservation at Blackwoods Campground. If you are not interested in camping, let us know where you are planning to stay. 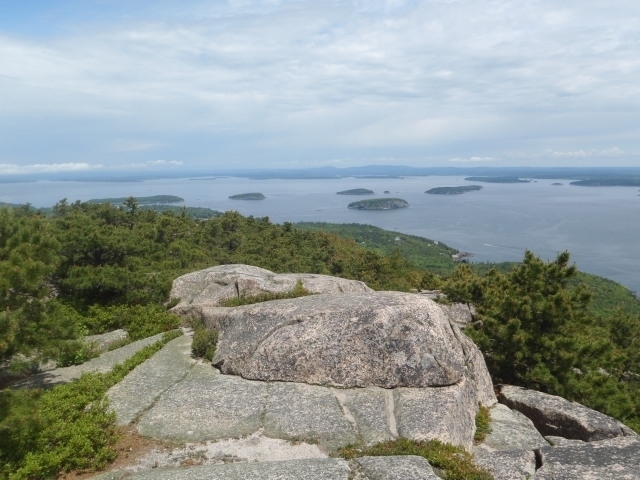 We will plan on a hike up Cadillac Mountain on Saturday (rain date Sunday). For those who enjoy biking, there are lots of carriage roads in the park. Paddling is also an option on several lakes in the area. Feel free to arrive a day early and we could plan something for Friday. Potluck get together on Friday evening. Full details will be emailed upon registration. TO REGISTER: Please email leader with info on your normal activity level (current), activities you hope to do during your stay, where you plan to stay and what nights, and a phone contact. For anyone who has not gone camping before and would like to try it for the first time, give us a call. Acadia National Park has some great hikes, but this rugged shore hike along the exposed southern & western portion of Isle au Haut is very special. The 75-minute ferry ride and mid-week departure ensure a quiet, no-crowd hiking experience. Although we will not be climbing any mountains as is often the case in the main section of the park, this is a rugged coast trail with much up and down and some scrambling. This approximately 5-mile loop hike incorporates short portions of the park gravel road but will mostly be on footpath. We will walk at a moderate pace with periodic stops for scenery and points of interest. Bring your lunch to eat along the shore. The ferry ride ($20 each way) on the mailboat from Stonington (Maine's largest lobster fleet) to Duck Harbor adds to the adventure. You can drive to Stonington that morning but allow time for navigating the limited parking options (parking near the ferry is $8 to $11/day). We plan an early morning start, so staying nearby on Wednesday night may be preferable. Registration is required for this activity - please contact the leader directly to register, to obtain boat departure details and for Wednesday night camping options. Space is limited to 14 participants. No fee but you will have to pay for your own parking, ferry & lunch. Multi-day Island camping trip with stays on Marshall Island and Little Black Island and visit to nature preserve on Frenchboro. 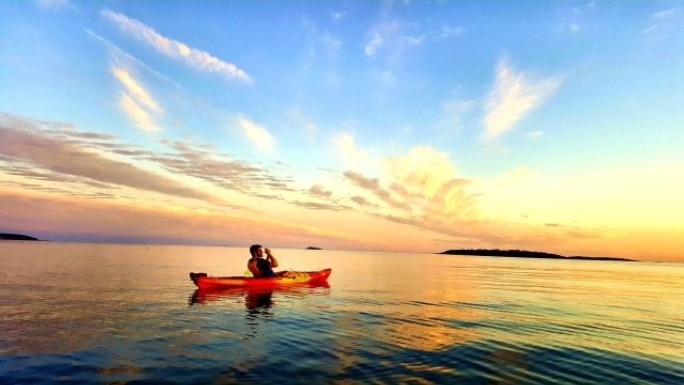 Comfort with open ocean paddling including self and group rescue skills and fully equipped sea kayak and intermediate skills. This is a moderate to strenuous hike of 8.5 miles with includes the Woodspur Trail. 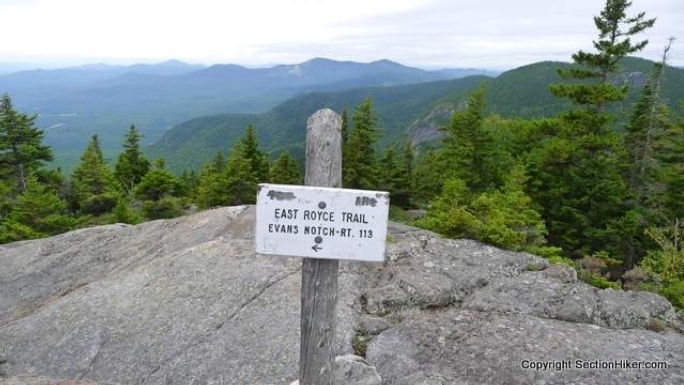 The trail crosses over several exposed granite boulders and ledges offering views of the Sunday River ski area, Grafton Notch and the distant Presidentials. 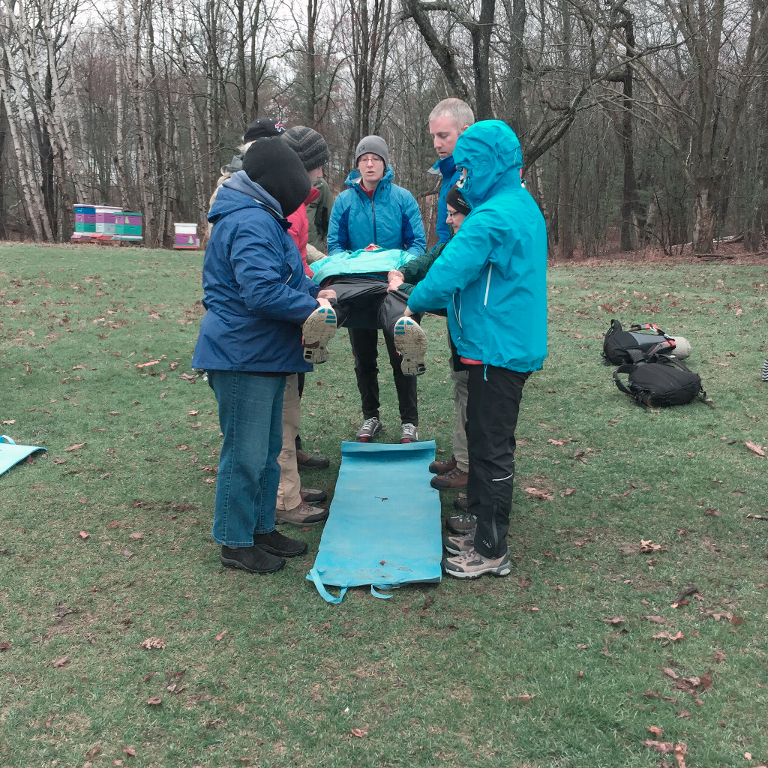 Basic Map and Compass course. Good for beginners and those wanting a refresher. About 3 hours of classroom in the morning followed by a similar time in the woods at Bradbury SP in the afternoon putting to practice what was learned in the morning. Class size limited. Trail work trip to the Maine Woods Initiative/100 mile Wilderness area. Lodging at Gorman Chairback Lodge and Cabins. Under the direction of Walker Ellis, Trails Supervisor and his staff, we will pull a couple of slips out of the AMC job jar and go to work. Gorman Chairback Lodge and Cabins is located on beautiful Long Pond and near to the Appalachian Trail, The Hermitage and Gulf Hagas. When we are not working we can visit all three and more in this northern Maine woods paradise. Come work, hike, paddle, swim or just relax after a day of trail work in support of the AMC mission. Did I mention the delicious meals and beautiful lodge? Contact leader for further information. Join us for a combined paddling and island trail work trip with Maine Island Trail staff. One day will be devoted to doing trail work on a MITA island, Campbell, located just off Deer Isle. The other day will be a play day with paddling on nearby Eggemoggin Reach and nearby waters. Call leader for details. 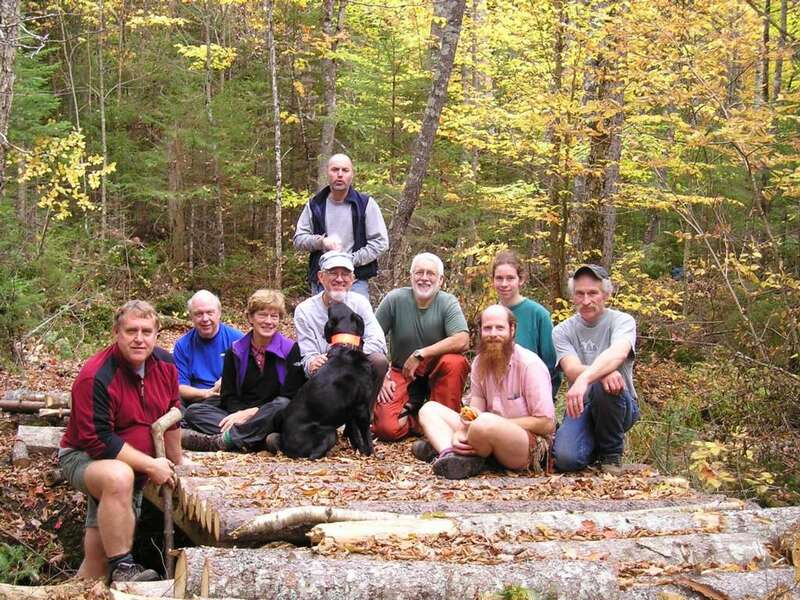 Maine Chapter trail work trip on this popular hiking mountain near Bridgton. Blowdown removal, clearing drainages,tools and training will be provided. Wear appropriate work clothes, pants and boots required, plenty of water and snacks always encouraged. Contact Phil Coyne for meeting time and place. Leaders: Peter Roderick and Phil Coyne, 207-443-6167, before 9PM, trails@amcmaine.org. Come join us for an afternoon paddle to check out the newly protected Woodward Point on the New Meadows River from a water vantage. This will be a leisurely paddle down the river (working a little against the tide) as we watch for ospreys and eagles and their nests along the shore. You'll get to learn a bit about how this property came to be protected by the Brunswick Topsham Land Trust and the Maine Coast Heritage Trust as they update us on the latest news for this project. This is a joint venture to introduce you to this beautiful part of the coast. After viewing the area around Woodward Point, we will make a group decision on how much further to paddle. We will then paddle back to the launch with the incoming tide. The New Meadows River is home to lobster boats and pleasure crafts. Please be mindful of boat traffic. Sea kayaks with at least one waterproof compartment required. PFDs must be worn at all times. 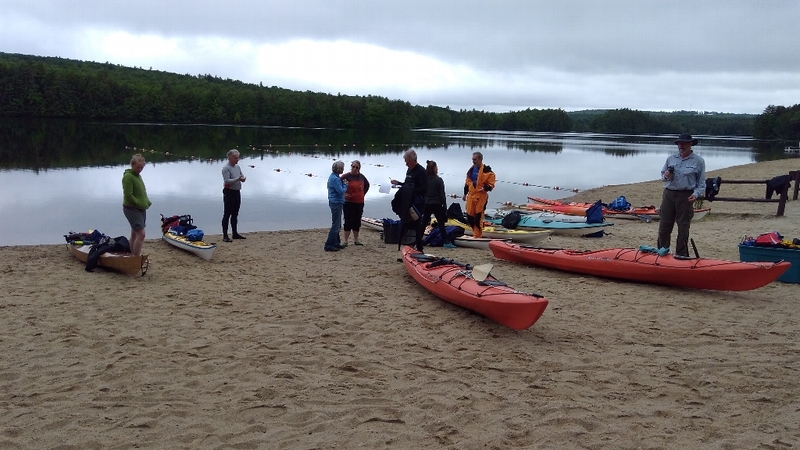 TO REGISTER: Please email information on your level of paddling experience, type of kayak and length, emergency gear you carry, and a phone contact. If you have any questions, please call Michelle. Correct times and meeting location will be emailed upon registration. 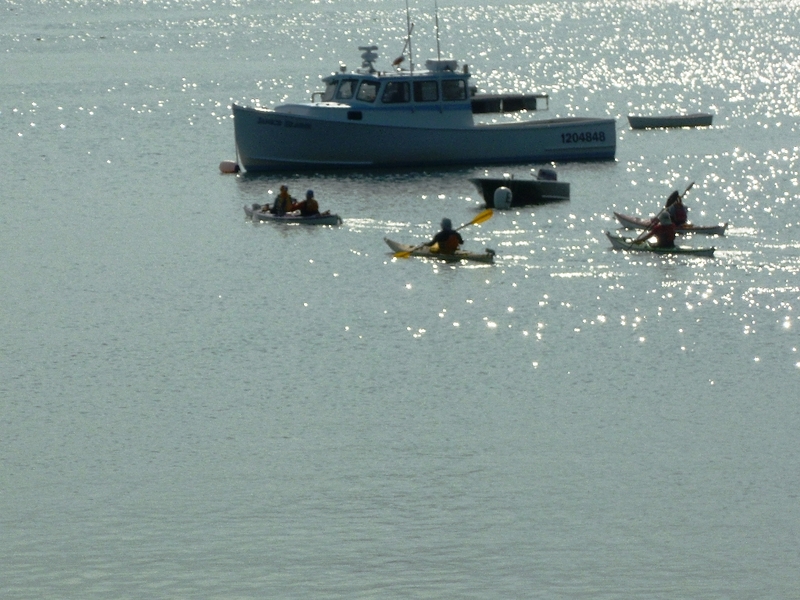 We'll put in at Bethel Point mid morning as the tide is coming in and paddle out to Yarmouth Island. We then have a choice of going east to Malaga Island (Maine Coast Heritage Trust) if conditions are very calm or heading west and north to Little Snow island (Bureau of Parks and Land). Lunch on either island and return as the tide is starting to go out. Plan on at least 4 hours on the water. Parking is just up the road at a commercial lot for a fee. Sea kayaks with 2 waterproof hatches a must, sprayskirt, pfd. Knowledge of self and/or assisted rescue. TO REGISTER: Email Michelle with info on your kayak including length, safety equipment and gear you carry, and a phone contact. Also include of bit of info of current paddling experience. Correct times will be emailed once you have registered with requested info provided. Multi-day trip with stays on Warren Island State Park - Butter Island and Ram Island. Fully equipped sea kayak, open water experience, self and group resuce skills and sense of adventure. 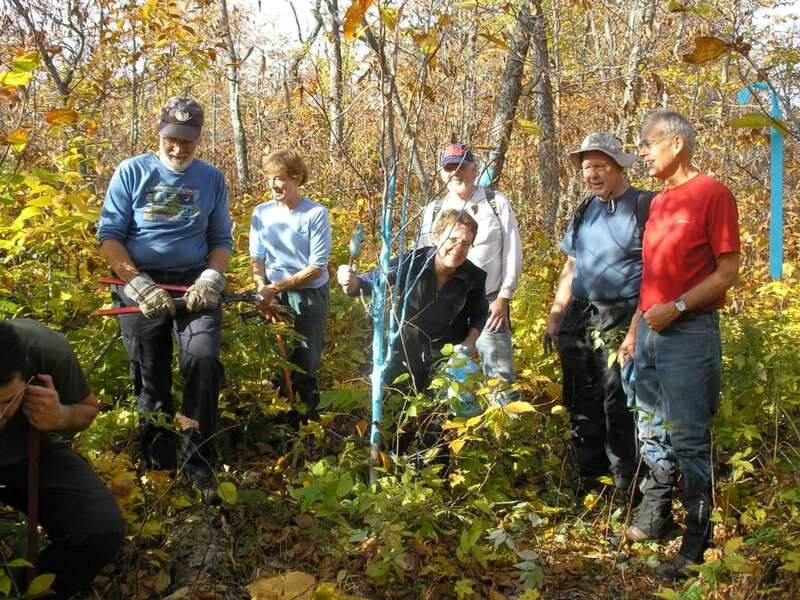 With hundreds of miles of property lines and trails, the AMC in Maine has lots of volunteer work opportunities. For this trip will be staying in a bunkhouse at the newly rebuilt Medawisla Wilderness Lodge and Cabins.Come experience the new facilities and help get the nearby trails ready for all the guests who will be staying at this newest Maine Woods Initiative lodge.